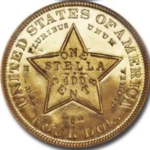 The 19th century in the United States was a period of great change and experimentation in the U.S. coinage System. Many different kinds of coins were tried out. 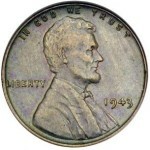 Some coins like the 1/2 cent, became obsolete because of inflation. 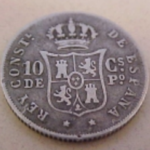 New kinds of coins were issued because they were thought to be convenient and would aid the flow of commerce. Interestingly, none of these coins were popular or practical enough to survive into the 20th century. The 2-cent piece, first proposed as early as 1806, finally became an official coin in 1864. The coin is struck in copper and is about the size of a present day quarter. 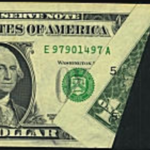 The obverse shows a shield with the date below and the motto “In G-d We Trust” on a ribbon above the shield. The reverse shows a wreath with the denomination “2 CENTS” and around the wreath the words “UNITED STATES OF AMERICA.” It was a short-lived issue with the final date being 1872 for the regular business strikes and 1873 for the proofs. The easiest date to find is the first year, 1864, which in average condition is worth $10 to $12. 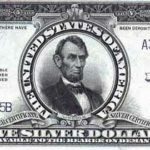 The 3-cent piece was first made in silver in 1851 and was issued as a convenient way of purchasing postage stamps. It exists in three varieties that have the same basic design. It’s a very small coin, smaller than a present day dime, and displays a star on one side and the roman numeral three (III) on the other three cent coin made of nickel. This coin shows a head of Liberty on the obverse with a roman numeral three (III) on the reverse. The series ended in 1889. Average circulated pieces are worth about $10. Twenty cent pieces are usually only found with the dates 1875 and 1876 though the coin was made in 1877 and 1878 as proofs for collectors. The coin looks similar to a quarter, with the portrait of Liberty seated on the dated side, and an eagle with outstretched wings on the reverse. It was easy to mistake one for the other even though the twenty cent coin had a plain edge. Average condition common pieces are worth around $70.